The Dragon Boat festival fall on the 6th of July 2016. It is a tradition where eating Zongzi (sticky rice dumpling) is one of the customs of the festival. Every year, the facility will create an opportunity for the residents to celebrate the tradition. The Indochinese Aged Care welcomed the volunteers who dedicated their time to visit and help our residents making lots of beautiful, tasty Zongzi. We were very glad the occasion was able to make their day a very happy and fulfilling one. 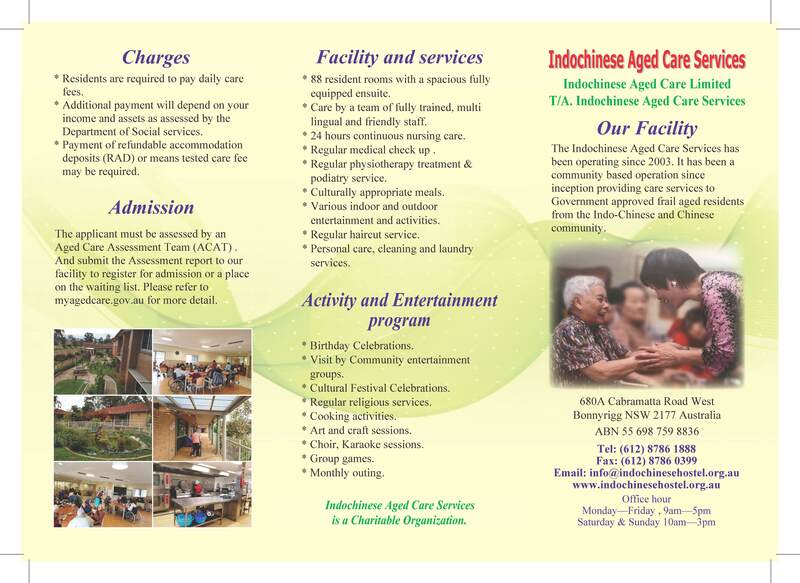 The Indochinese Aged Care would like to express our gratitude and thank our beloved volunteers for everything they’ve done for our residents. © 2019 Indo-Chinese Elderly Hostel. All Rights Reserved.